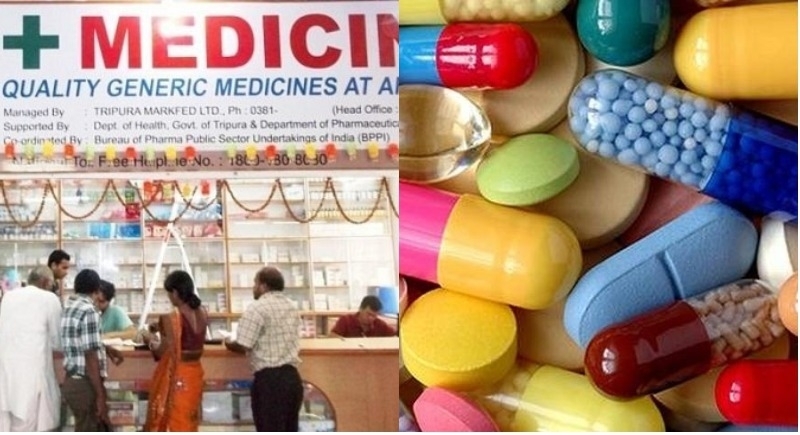 New Delhi, August 8: To ensure the quality of generic medicines at affordable prices in the country, Minister Mansukh Mandaviya listed the number of measures taken by the government on Tuesday. In a written reply to Lok Sabha, Minister Mansukh Mandaviya stated that drugs manufactured in the country, irrespective of whether branded or generic, are required to comply with the same standards as prescribed in the Drugs and Cosmetics Act, 1940 and Rules made thereunder for their quality. The Drugs and Cosmetics Act, 1940 was amended under Drugs & Cosmetics (Amendment) Act 2008 to provide stringent penalties for manufacture of spurious and adulterated drugs. Certain offences have also been made cognizable and non-bailable. The States / UTs were requested to set up Special Courts for trial of offences under the Drugs and Cosmetics Act for speedy disposal. So far, 22 States have already set up designated special courts. Guidelines for taking action on samples of drugs declared spurious or not of standard quality in the light of enhanced penalties under the Drugs & Cosmetics (Amendment) Act, 2008 were forwarded to the State Drugs Controllers for uniform implementation. The inspectorate staffs have been instructed to keep a vigil and draw samples of drugs for test and analysis to monitor the quality of drugs moving in the country. The number of sanctioned posts in Central Drugs Standard Control Organization (CDSCO) has been increased from 111 in 2008 to 510 in 2018. The testing capacities of Central Drugs Testing Laboratories under CDSCO are being constantly strengthened to expedite testing of drug samples in the country. On 3.4.2017, in order to ensure efficacy of drugs, the Drugs and Cosmetics Rules, 1945 have been amended providing that applicant shall submit the result of bioequivalence study along with the application for grant of manufacturing license of oral dosage form of drugs falling under the Category II and Category IV of the Biopharmaceutical Classification System. On 27.10.2017, the Drugs and Cosmetics Rules, 1945 have been amended vide Gazette notification no. G.S.R. 1337 (E) making it mandatory that before the grant of manufacturing license, the manufacturing establishment is to be inspected jointly by the Drugs Inspectors of Central Government and State Government. The licensed manufacturing premises shall be inspected jointly by the Drugs Inspectors of Central Government and State Government to verify the compliance with the conditions of license and the provisions of the Drugs & Cosmetics Act and Rules for not less than once in three years or as needed as per risk based approach. On 10.04.2018, the Drugs and Cosmetics Rules, 1945 have been amended vide Gazette notification no. G.S.R. 360 (E), making it mandatory for all drugs, that the applicants shall submit evidence of stability, safety of excipients etc. to the State Licensing Authority before grant of product manufacturing license by the Authority. Further, the Minister informed that the manufacturing, sale and distribution of Drugs in the country are regulated under the provisions of Drugs & Cosmetics Act, 1940 and Rules, 1945 made thereunder through a system of licensing and inspection. “License for manufacturing, sale and distribution of Drugs are granted by State Licensing Authorities appointed by respective State Governments. As per the Drugs & Cosmetics Act, 1940, Drugs Inspectors are authorized to take samples of any drug for test/analysis,” he added. “Accordingly, States and Central Drugs Inspectors draw the sample from market/supply chains and get it tested in the Government Drugs Testing Laboratories. If the samples declared Not of Standard Quality/ Spurious drugs, action are initiated as per the provisions of said Act and Rules. Licensees are required to comply with all the condition of license and follow the Good Manufacturing Practices (GMP) as prescribed under said Rules to ensure that the drugs manufactured by them are safe and of standard quality,” the Minister noted. “In order to make quality generic medicines available at affordable prices to all through specific outlets, ‘Pradhan Mantri Bhartiya Janaushadhi Pariyojana’ (PMBJP) was launched by Department of Pharmaceuticals, in the year 2008. As on 31.07.2018, 3894 PMBJP Kendras are functional in 34 States/UTs of the country. Government endeavors to cover all States, UTs, Districts, Tehsils, Blocks and Gram Panchayats of the country. In order to ensure good quality of medicines under PMBJP, medicines, surgicals and consumables are procured from more than 150 private drug manufacturers (WHO-GMP Compliant) and surgical suppliers, quite a few of which are procured from Central Pharma PSUs. Apart from procurement, each batch of drugs is tested at laboratories accredited by ‘National Accreditation Board for Testing and Calibration Laboratories’ (NABL). Only after passing the quality tests, the medicines are dispatched to PMBJP Kendras,” Mandaviya informed the Lok Sabha.